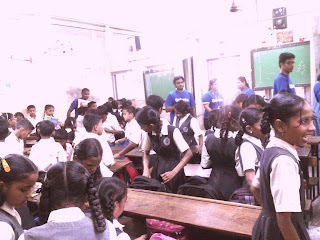 Deloitte’s impact day was held on 29th November 2013, at Bhimanagar Municipal School and Vidya Vikas School for both Primary and Secondary kids. The Impact day at both the schools started with movie screening. The movies name was Krish, Trish and Baltiboy. It had three stories along with the moral of the story. Students were laughing throughout the movie, after movie Deloitte Volunteers asked students what they had learned from the movie. The next activity which took place was teaching Abacus to the students, the employees were so enthusiast in teaching abacus, that they had even learned Marathi words to give better understanding to the students. Students were really enjoying the game and were happy when they came to know that abacus device which they were given, was for them to take it home. Then the next activity was Quilling, English speaking and Origami. Students had fun learning English, making different patterns of quilling and origami. Some of the students came up with good designs. After the session there was closing ceremony at both the schools, were all the kids were bought together. At Vidya Vikas School, a volunteer from deloitte performed an entertaining skit, all the students were cheering as the performance was so good whereas at Bhimanagar Municipal School, principal spoke about the impact day, congratulated Toybank as well as Deloitte team for serving the purpose perfectly. In both the schools each kid was given a balloon and a drawing book. Not a single kid left without a smile. 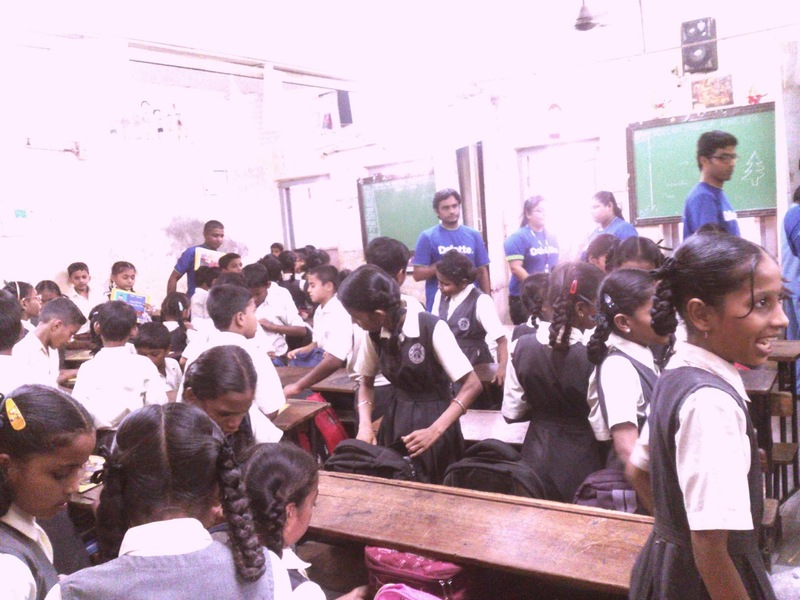 Deloitte’s impact day covered 300 students and the event was carried out by 70+ Deloitte volunteers and Toybank team successfully.